The Chatham campus produced some of STU’s best all-round athletes, much like Moncton native Don Grant. He was a skilled football player, playing quarterback for three of his four years on the squad. His talent on the field earned him the title of all-star quarterback. Some would say it was his basketball prowess for which he was most celebrated. He was small in stature, but big in personality, leadership and talent. As the point guard, and team captain, he was an all-around leader on the court. In one game against Bathurst in 1952 he scored 27 points – a team high – and repeatedly brought the crowd to its feet with his end-to-end rushes. 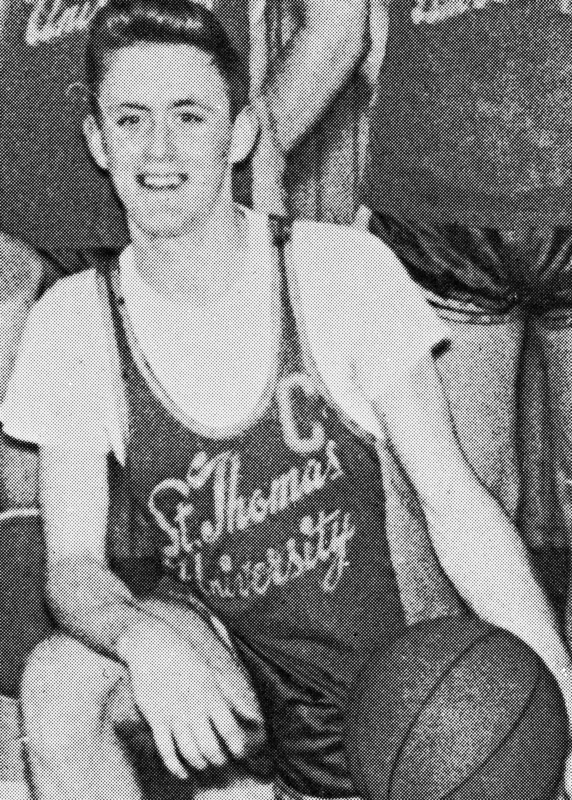 He is already a member of the New Brunswick Sports Hall of Fame, the Moncton Sports Wall of Fame and the Miramichi Sports Wall of Fame, and now he can add the St. Thomas University Sports Wall of Fame to that list.